﻿ Kosicek Vineyards - Ohio. Find It Here. As a 3rd generation vineyard, their grape roots can be traced to the founding of the vineyard in 1929 by their grandfather who immigrated from Slovenia. 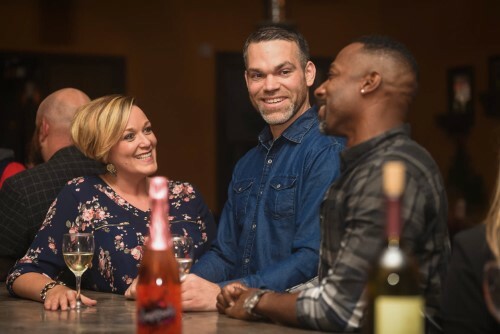 Located in Harpersfield, Ohio (Geneva), the wine list includes exquisite bottles locally grown and produced right in the winery. The food menu offers just the right amount of local cuisine to tempt your palette. Pairing their food with Kosicek Vineyards wine and sitting by a warm fire will surely enhance your Northeast Ohio wine tasting experience. Open year round. Please check website for current hours.